Having recently read that a boost to gambling online is being experienced by means of mobile devices, and that this is a bad thing, we couldn’t resist putting in our tuppence worth, because gambling is not the problem. If you have ever been known to drop a few bob on the ponies, while playing a game of poker, or at the local bingo hall, and don’t find this to be a compulsive activity, then you will know that it is people that gamble compulsively, and not the game that force them. Gambling games are inanimate, while people are animate, and should be able to control their addictive urges, or get help for them. Mobile devices such as phones and have made it easier to gamble online, but no easier than when we only had lap-tops and 3G. So, why do some pontificators call mobile gambling a “worrisome trend”? It is simply because most of these people are offering their opinions, in many instances, even when they have not been asked for an opinion. But then that is the human condition, and many human beings would rather judge, than live and let live. When people judge others, this makes it easier for them to not have to take a long hard look at themselves. The increasing popularity in gambling online bothers some people a lot. They say it is simply to easy to lose money when all that has to be done is open a website or app. Mobile gambling apparently makes things even easier. This broad generalisation is a bit narrow minded we believe. 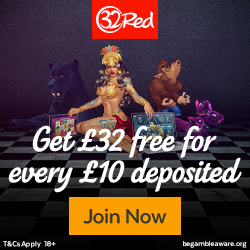 We are exposed to online gambling websites continually when reviewing these sites for customers, and have never been tempted to drop money, because losing money is just not our scene. Some people like gambling, others do not, and having gambling available wherever one is and whenever, has never once increased the temptation to play. That does not make us any better than a person who loses their shirt when playing online, but unfortunately some of us have to learn life lessons, and choose to do this the hard way. If online or mobile gambling were banned, as it purportedly is in the USA, we would still find a way to do this, and it has been proved throughout history that prohibition just does not work. Most cultures are hardwired to take a risk on something or other, and gambling for money, is a modern-day form of entertainment that millions of people partake of. It is what it is, no more and no less! The online gambling marketplace, while certainly not bottomed out, has become pretty saturated from the point of view of the affiliate industry. With the emergence of gambling online as a massive money spinner, quite a number of other sectors benefited off the bottom line. Advertising and affiliate marketing were two of these sectors. The online gambling industry, especially in the UK and Europe has become mature, and this changes the way things in marketing need to get done. While years ago it took very little money for someone to get set up as an affiliate online, this has changed, and it is not so easy for these small one-man ops to make a decent living off affiliate earnings. This is a performance based industry, and due to complexities in the marketplace, rewards are fast becoming diluted. Cornering this market today we find specialized third party vendors, super affiliates and affiliate management agencies. These days it is far more beneficial to select a specialized niche and concentrate on this, rather than on a generic area. In other words, concentrate on "slots" for example, rather than "gambling online" per se. However there are certainly ample opportunities popping up where we are seeing exponential growth. For example the mobile gambling industry, and perhaps turning our envious eyes upon an emerging market in the USA. In the few short weeks that online poker has been test-played in the state of New Jersey – up to 33 000 new players, or more have registered and these are only intrastate players. Who knows what the possibilities could be as more and more states open their doors to poker at first, then perhaps other online gambling games too. But change management for affiliates is certainly a strong recommendation too. Affiliate business owner need to learn how to tap into a new market place. Just out of interest – including the usual Thanks Giving holiday traditions they had to deal with, punters found the time to create 5,000 new online accounts. Testing commenced in New Jersey on the 21st November, and while it was difficult for assessing how many wagers were actually placed, some gamers had registered with more than one online brand. This indicates the largest expansion of gambling in the state since 1978, when the first Atlantic City casino opened its doors to the public. They are the third stat in the USA to offer legal and regulated gambling online. One of the reasons we say that the online gambling industry is a "mainstream" industry, is because of the size of the prize on the bottom line for operators. It is hardly surprising that the UK Government is re-visiting its taxation laws for this industry – during 2012 online gambling was worth more than £2 Billion; it is envisaged that this will grow monumentally. Her Majesty’s Customs and Excise hardly receives a share in this loot, as taxation mores are so tough that most UK operators provide these services to the UK-audience from White Listed, yet distant shores. £2 Billion is a massive amount of money in an industry which grows, hour-by-hour, day-by-day, year-on-year. Now with mobile gambling being the new zeitgeist, Internet gaming is predicted to grow even more. Some remarkable growth percentages have been seen in this sector of the industry, especially during 2012, as more people get hooked up with a smartphone. The leading gaming growth sector in the UK is currently real money sports-betting, and especially popular are the “in-play” wagers that can now be made from the convenience of a mobile phone. Just as an example – in the period 2011 to 2012, football betting has seen an increase of 69%. This makes it the second-most lucrative gaming market in the country, just a wee bit behind horse racing. A recent study which revealed these result, also yielded other rather interesting results too. For example we now know that William Hill is in the lead in terms of market-share, but this does not necessarily mean they have the lions-share of the entire industry. 15% goes to William Hill, while Paddy Power, Betfair, Ladbrokes, and Bet365 each control the same at 11% each. 44% of the market is attributed to "other" operators. Research is indicating that 29% of users who gamble online are using mobile devices, and smartphones to facilitate this form of entertainment. Searches for online gambling products from smartphones have also grown by 75%. This proves that the spirit of the times is for mobile gambling, and sport-betting is mostly what these users are looking for. The Island of Jersey has now entered the race to become a licensee state. They are joining into the melee with territories such as the Isle of Man, Gibraltar, Malta, Alderney, and one or two other well-liked destinations. With so much attractive competition, the UK Government has a hard task ahead of them if they think they might be able to attract operators back to the fair shores of Pudding Island. Nothing in moderation is actually bad for anyone, but human nature being what it is can certainly play tricks on us. Addiction happens to be one of the nasty tricks that human nature plays. It is not the end of the world, and no-one is alone in this, and it is for this very important reason that all responsible UK online gambling site offer links to GambleAware, GameCare and so on. While online gambling operators are in this industry to make a living, this does not mean to say that they wish to do this at the expense of humanity. These operators provide a service for people who what this service, people will ALWAYS gamble and always have; this is also an intrinsic part of human nature, just like many forms of entertainment are. In most parts of the world, gambling is entrenched in the culture, much like bingo is as British as bangers and mash. Speaking of bingo in the context of this subject, one little story we recently read, brings home what we mean when we say that gambling is not the problem, people are the problem. We have to be adults to play bingo online, so, we should behave like responsible adults would and not be daft about it. One pensioner from North Shields took things a little too far and received the shock of her life. Fortunately she got a fright and realised things had to change. This pensioner, turned jackpot chaser, instead of just having fun playing a few games and then packing it in, actually turned to fraud and to loan sharks to manage (if you could call this "manage") her gambling debt. She says she became hooked on playing bingo and gambling online after losing her job – supposedly she had too much time on her hands – or this is what she told the courts. Is it true what they say – "idle hands do the Devils work"? The sixty-three year old enjoyed some moderate success, and spurred on by this, instead of simply enjoying her good luck, allowed things to rage out- of- control. After turning to loan sharks who threatened her to recover their debt, she actually committed fraud by selling an investment property before filing for bankruptcy. The bankruptcy trustees picked up the sale and the £35 000 profit she made; this was where the police were called in. You can’t make £35K and thereafter file for bankruptcy. Yes, she was threatened by the loan sharks to return their money, and had to pay stupid amounts of interest, which just goes to show that her stupidity was quite simply two-fold. Living life in the hope of catching a big jackpot is not what online gambling is about. It is about having a bit of fun, within a players means, and if Lady Luck is on your side and you win. Thank the fates. If not, pack it in and don’t get out of control.